The week in photos: Mourning Nemtsov, burning ivory, and celebrating spring’s arrival. 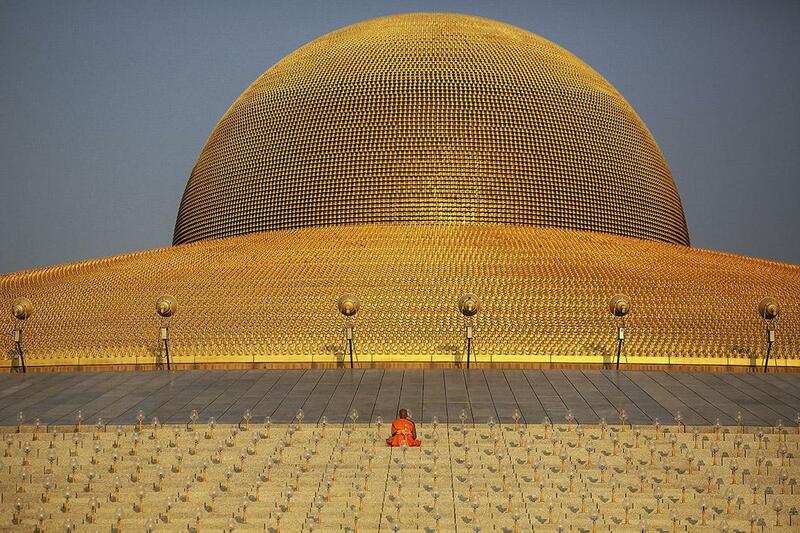 A Buddhist monk prays at the Wat Phra Dhammakaya temple in Pathum Thani province, north of Bangkok, before a ceremony on Makha Bucha Day on March 4, 2015. The Dhammakaya temple, whose members include some of Thailand’s most powerful politicians, is regarded as the country’s richest Buddhist temple. Makha Bucha Day honors Buddha and his teachings, and falls on the full moon day of the third lunar month. 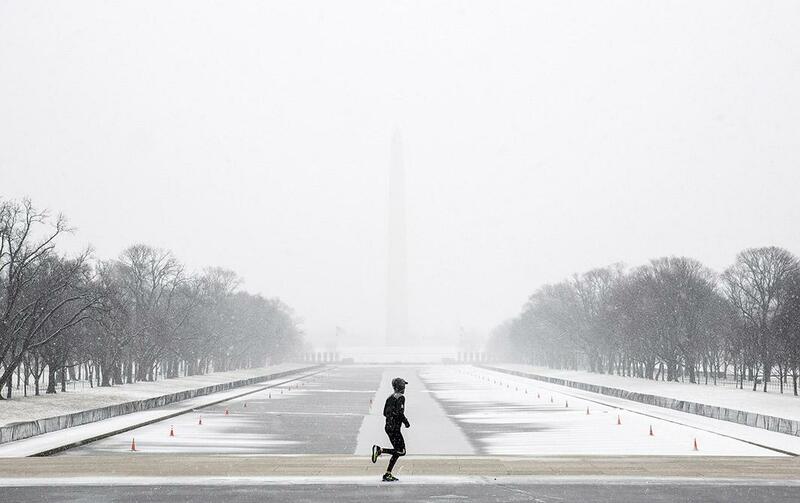 A man runs on the National Mall during a snowstorm in Washington, D.C., on March 5, 2015. A large winter storm reaching from Texas to southern New England, which prompted school closings and led to almost 2,300 flight cancellations, had dumped more than a foot of snow on parts of the eastern United States by early Thursday morning. 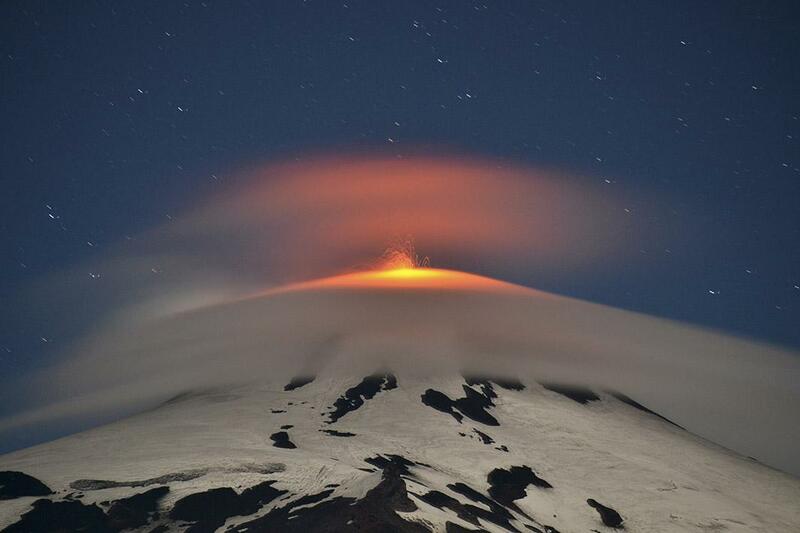 Smoke and lava spew from the Villarrica volcano, as seen from Pucón, to the south of Santiago, Chile, on March 3, 2015. 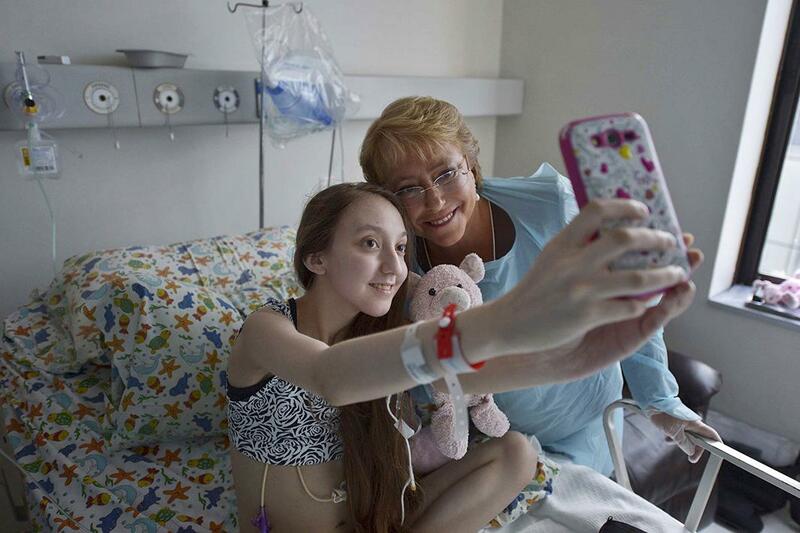 The volcano went quiet on Tuesday after an eruption that sent a plume of ash and lava high into the sky in the early hours put Chile on high alert. A Kenya Wildlife Service officer stands near a burning pile of 15 tons of elephant ivory seized at Nairobi National Park on March 3, 2015. 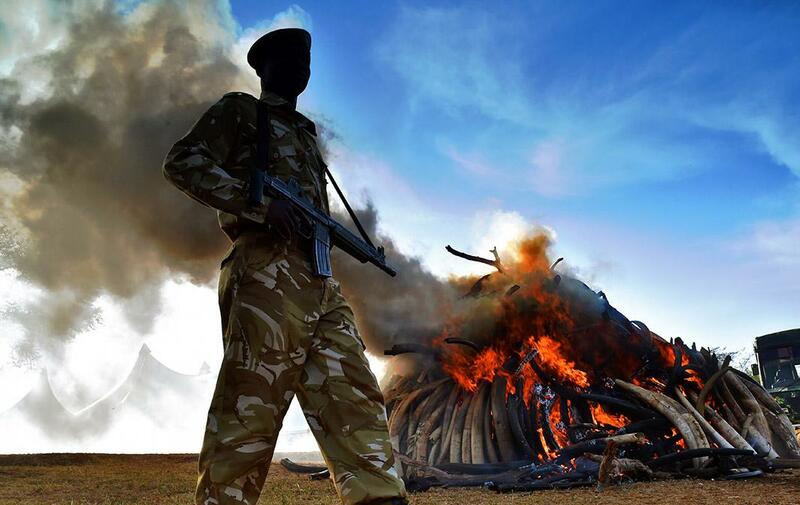 Fifteen tons is the largest amount of contraband ivory burned in Africa to date. The fire was lit by Kenyan President Uhuru Kenyatta to mark World Wildlife Day and African Environment Day. An average of 30,000 elephants are poached every year in Africa. 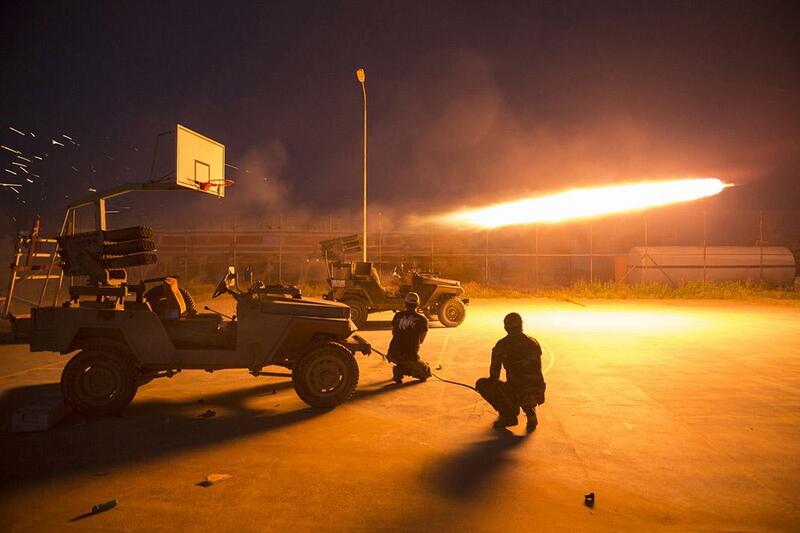 Shiite fighters fire a rocket during clashes with ISIS militants in Salahuddin province in Iraq on March 1, 2015. Thousands of Iraqi soldiers and Shiite militiamen sought to seal off ISIS fighters in Tikrit and nearby towns on Tuesday, the second day of Iraq’s biggest offensive yet against a stronghold of the Sunni militants. 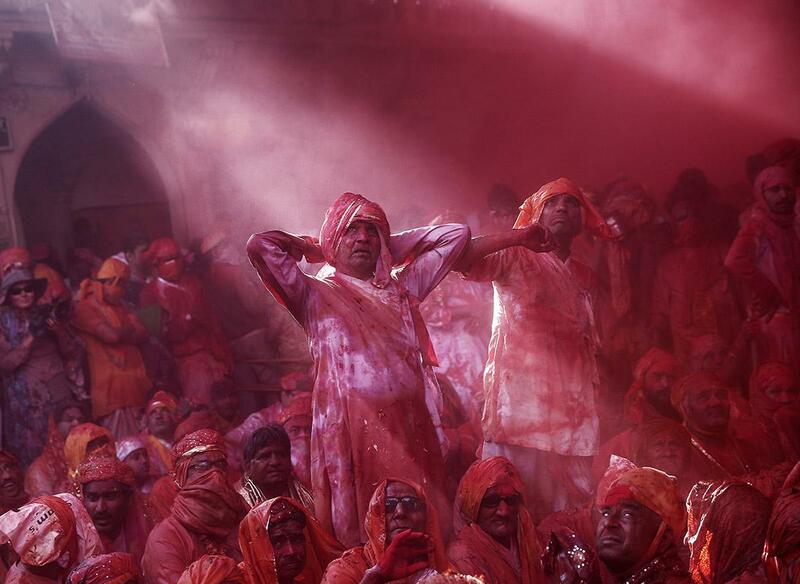 Men are seen covered in colorful powder as they celebrate “Lathmar Holi” at Barsana in the northern Indian state of Uttar Pradesh on Feb. 27, 2015. In a Holi tradition unique to Barsana, men sing provocative songs to gain the attention of women, who then “beat” them with bamboo sticks called “lathis.” Holi, also known as the Festival of Colors, heralds the beginning of spring and is celebrated all over India. 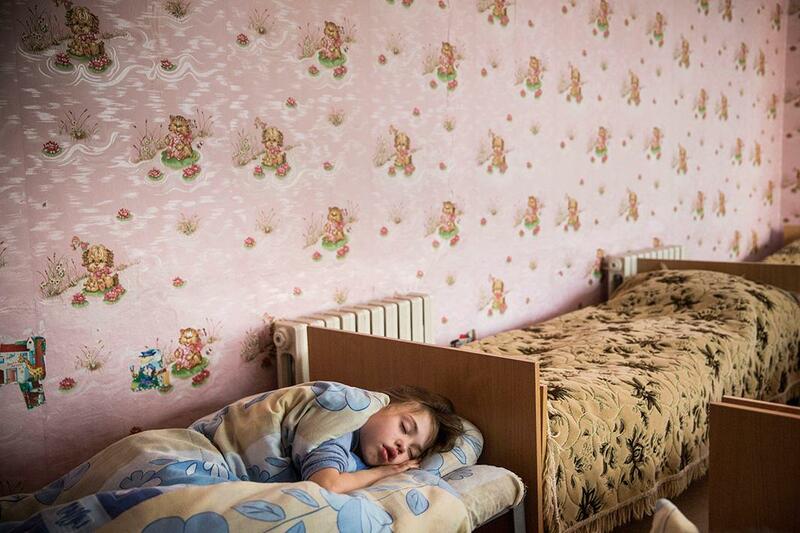 A girl sleeps during naptime at Torez Special Secondary boarding school No. 43 on Feb. 27, 2015 in Torez, Ukraine. The school acts as both a school for local children and an orphanage for children who no longer have a place to live. The school receives assistance from pro-Russian rebels. Eastern Ukraine has seen sporadic fighting between the Ukrainian Army and pro-Russian rebels for the past year, killing more than 5,000 people. Andrei Serebrennikov, a coal miner who survived an explosion at Zasyadko mine but was exposed to dangerous levels of methane, undergoes an enriched oxygen treatment in a pressure chamber at the Regional Hospital of Occupational Diseases on March 5, 2015 in Donetsk, Ukraine. The methane explosion in the mine on March 4 killed at least 10 miners. 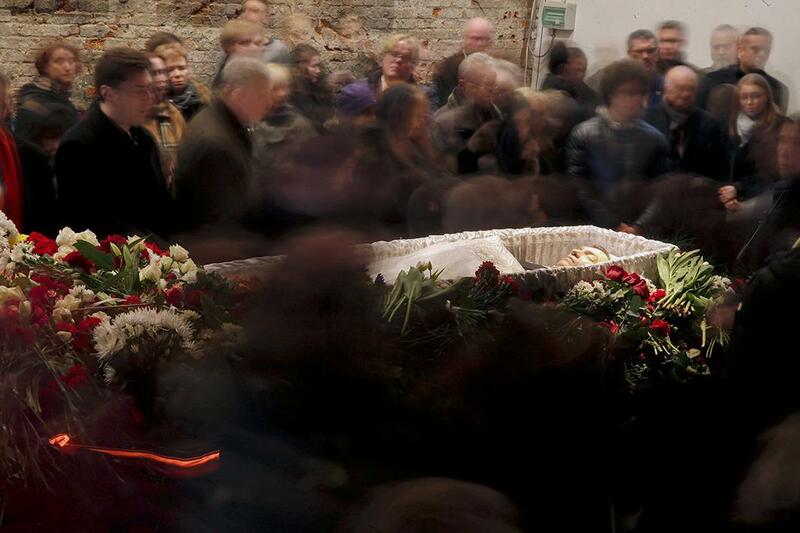 Mourners surround the coffin of Boris Nemtsov during a memorial service before his funeral in Moscow on March 3, 2015. Several hundred Russians, many carrying red carnations, lined up on Tuesday to pay their respects to Nemtsov, the Kremlin critic whose murder last week showed the hazards of speaking out against Russian President Vladimir Putin. 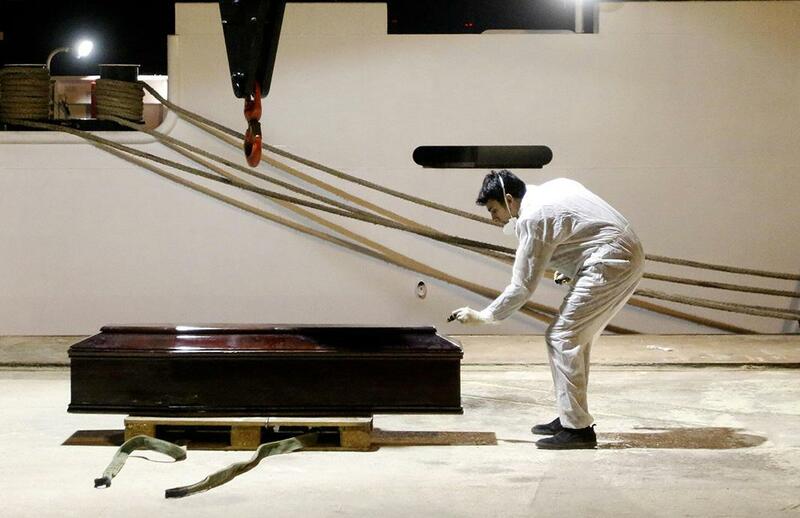 A man is seen next to a coffin containing the body of a migrant who died on a navy ship at the Sicilian harbor of Augusta on March 4, 2015. At least 10 North African migrants died when their boat overturned in the southern Mediterranean while more than a thousand more were rescued from eight other vessels over Tuesday and Wednesday, Italian and Tunisian authorities said. The survivors were taken to ports in Italy—part of a growing surge of people risking the dangerous journey to flee poverty, civil war in Syria, military conscription in Eritrea, anarchy in Libya, and other conflict zones. 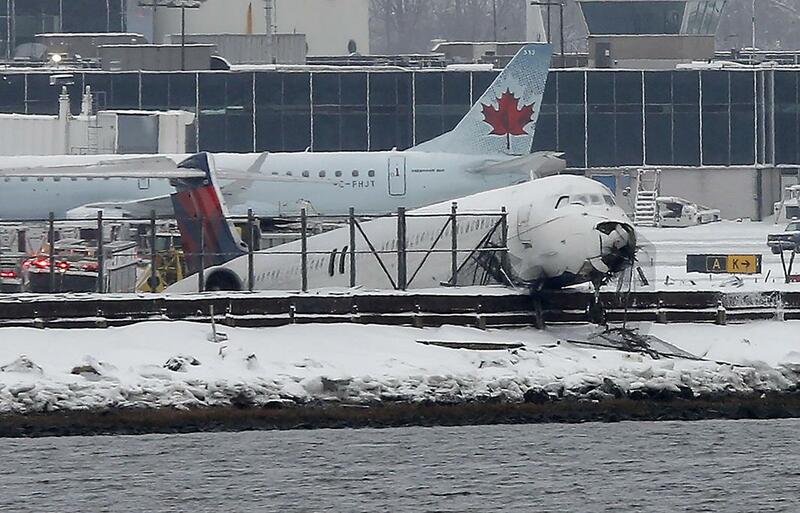 Delta Air Lines Flight 1086 is seen after it slid off the runway upon landing at New York’s LaGuardia Airport on March 5, 2015.